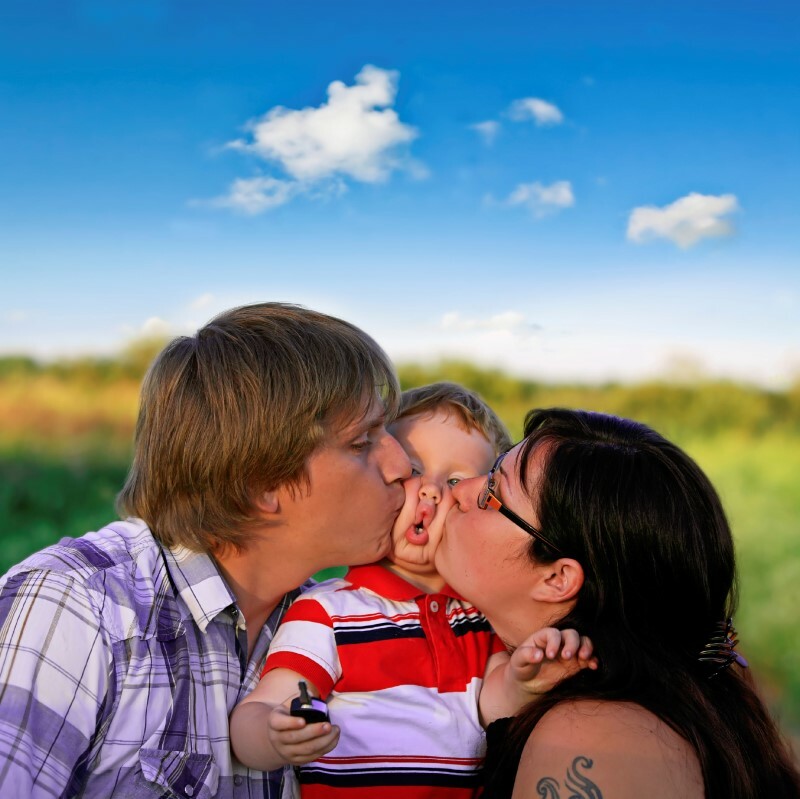 What’s it like to be 43 – 44 months old? Does television help or hurt your child? Is it safe? Any toy can be unsafe if given to the wrong child, to a child at the wrong age or when it is misused. Is it durable? Toys are going to be mauled, hugged, dropped, thrown, stood on, chewed on, washed, and dried. They need to stand up under normal wear and tear. Is it appropriate for the age of the child? For example, you would not buy a twowheel bicycle for a toddler or a crib mobile for a school-age child. Toys should allow for growth —so they are used in many different ways over a long period. Does it work? Does it do what it is supposed to do? Nothing causes loss of interest, frustration, and anger like a toy that does not work. Is it fun and does it capture your child’s interest? You should not have to coax, force or trick a child into playing with a good toy. Toys that can be used for a variety of purposes keep the child’s interest longer than those with only one use. Does it stimulate creative activity? Can the toy offer problem-solving opportunities? Does it leave room for imagination? Does it teach new skills? Does it involve others? Must the child play alone with the toy, or can others play, too? Can it be kept clean easily? Rag dolls and stuffed animals should be washable, or at least have removable clothes that can be washed often. You have many roles you are juggling —such as spouse, parent, employee, friend, son or daughter, and volunteer. Sometimes the effort of juggling all these roles is too much and you fear everything will come crashing down on you. When life gets stressful with so many demands, some people cope by focusing on just one aspect of their lives. Focusing more on work may make you feel like a successful breadwinner or focusing on your child may make you feel like a great parent. Focusing on one thing —like your child or your job —may cause you to forget about the needs of other important people in your life. Does your partner feel left out? You may think that being a successful breadwinner or a great parent is your way of telling your partner “I love you.” You might be surprised if your partner is not getting this message — and may even be feeling like you don’t care. Sometimes it may seem like your partner takes care of everyone else’s needs before yours. Try to change this. For example, when you walk in the door, kiss your partner immediately. Say hello to your partner before picking up the dog. These actions can help you reconnect with your partner. Programs do not have to be “educational” to teach things we want children to know —and things we do not want children to know. Children believe what they see on the screen. They cannot always tell the difference between what is real and what is make-believe. This can confuse and mislead children. Children have hurt themselves and other people by imitating what they have seen on TV. Children who watch a lot of TV can become passive. Children need to do things to grow. When they spend a lot of time in front of the TV, children lose chances to be creative, use their minds and be physically active. TV commercials cause children to want toys that may not be good for them and non-nutritious foods with lots of sugar and fat. Things they have never seen. Places they have never been. People they have never met. Things they have never done. TV can teach skills —such as reading, counting, spelling and problem solving. TV can teach children healthy attitudes toward themselves and other people. Children can learn sharing, self control and courage from TV. Set TV guidelines for your preschooler. Allow your child to watch only the programs that you think are appropriate for her. Go over the TV program guide and select which programs you think are best to watch. If your child wants to watch a show you think is not right for her, explain what you do not like about it. Be gentle but firm in enforcing your limits. Watch programs with your child whenever possible. If you cannot join her, let her know you are there to talk about a program or answer questions. When your child visits another home, make sure the adults there understand what your child is allowed or not allowed to watch. Does television help or hurt your child? Keep the TV out of your child’s bedroom. Only let her watch TV where you can see what program is on —like in the living room. Having a television in the bedroom may keep your child from participating in family activities. Do not allow TV during mealtime. Use this time to catch up with one another, teach table manners, and help children learn to like healthy foods. Use the VCR or DVR. 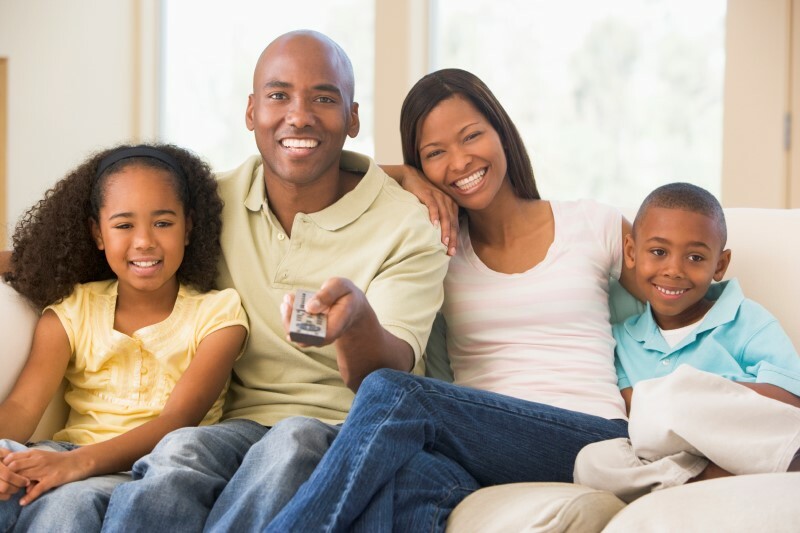 If your child’s favorite show conflicts with family time, record it to view later. Keep a diary or log of times your family watches TV, eats meals together, exercises, and reads. Look at the amount of time spent and change your schedule so that you are doing a variety of activities together. About 6% of young children have food allergies. Although most children start to grow out of food allergies by age three, some do not. It is important to know how to spot a food allergy. A food allergy makes the body react to the specific food as if it were harmful. The immune system activates antibodies to fight off what it is allergic to. The reaction can be mild to severe, depending on the allergy. It might be a runny nose, a rash, tingling of the mouth or surrounding areas, swelling, a tummy ache or wheezing. Other symptoms include hives, skin rashes, breathing problems, throat tightness, nausea, vomiting, diarrhea, pale skin, becoming light headed, or losing consciousness. My tongue / mouth is tingling or burning. My tongue / mouth itches. It feels like there are bugs in my ears. It feels like there’s a bump in my throat. Your child may not say anything. Watch for signs —such as grabbing at her mouth, or pulling or scratching her tongue. There may be a change in her voice (it may become scratchy or squeaky) and she may slur her words. If your child is having trouble breathing or having any symptoms that could be a dangerous allergic reaction, take her to the emergency room and call your doctor. Milk, eggs, peanuts, soy, wheat, tree nuts (walnuts, cashews), fish and shellfish account for 90% of allergic reactions in children. If you believe your child has a food allergy, talk to her doctor. Fruit juice does not contain the fiber that is in whole and cut-up fruits. 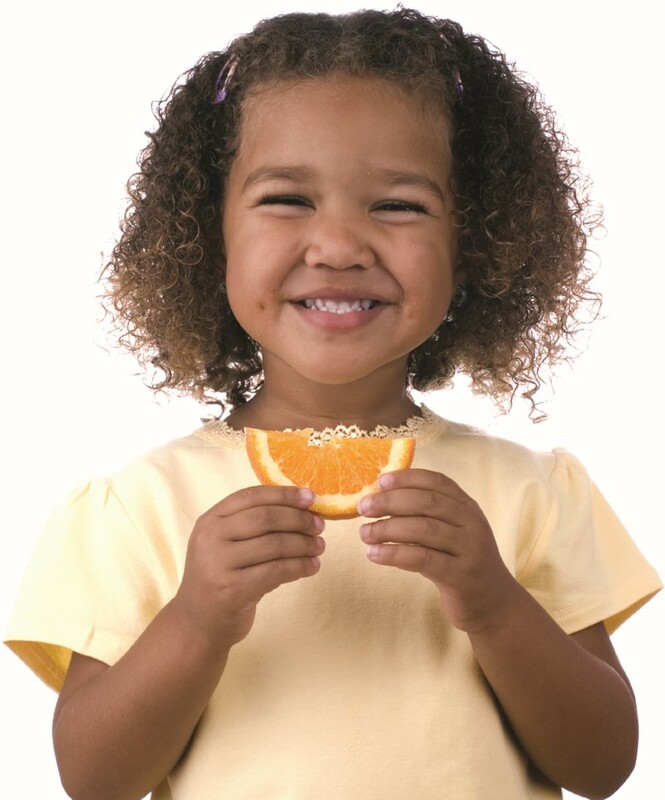 Serve your preschooler no more than ½ cup to ¾ cup (4 to 6 ounces) of juice a day. Choose 100% fruit juice when serving juices —check the Nutrition Facts label to be sure. 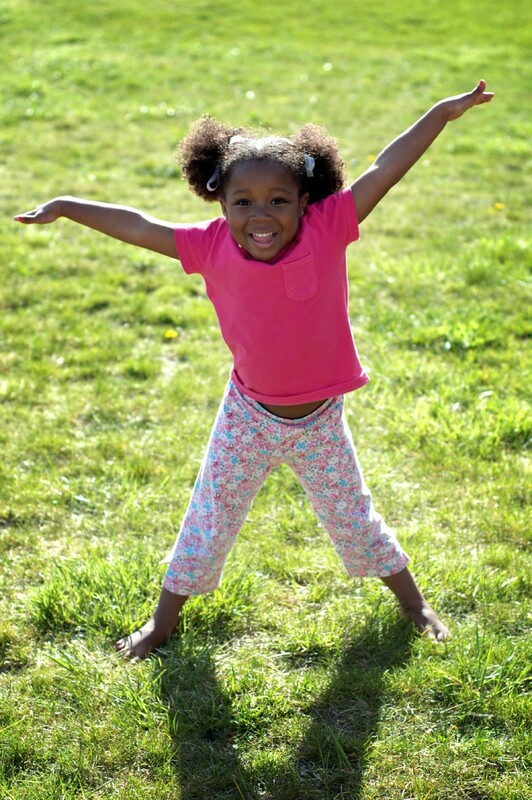 When children play actively, they use their big muscles and can relax and have fun. 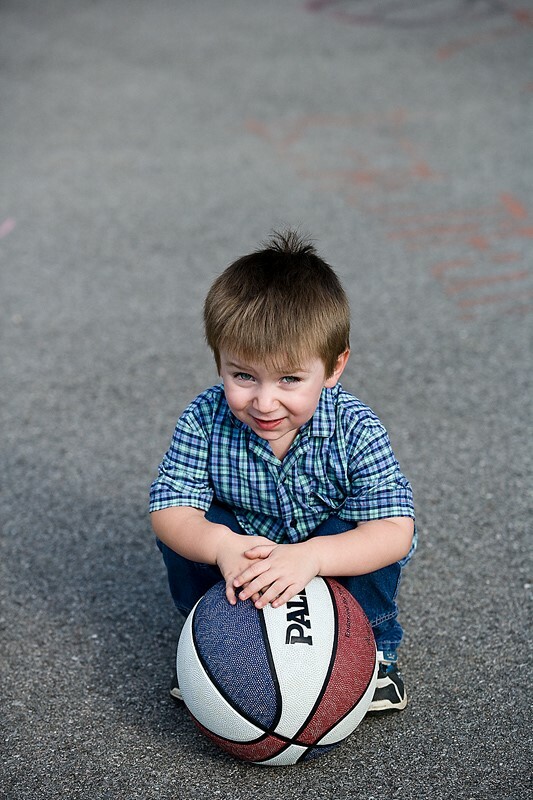 Give your child chances for active play every day. If you do not have room in your home for physical play, find a place nearby where there is enough room, such as the park. I cannot separate fantasy from reality. I believe magic is real. I believe everything in the world is alive. I can hop and stand on one foot up to five seconds. I can go upstairs and downstairs all by myself. I kick a ball for ward. I catch a big bounced ball most of the time. I ask a lot of “how” or “why” questions. Trust is important to a child’s healthy emotional development. Parents can teach their child about trust. Teach your child that trust means you can count on each other. If you have to break a promise, tell your child why. Say, “I’m sorry” when you need to. Stick with the rules and limits you set. Keep secrets your child tells you. Do not tease or scare your child. Try not to make excuses. Did you know that 31/2 year olds have about twenty teeth? Since your child now has teeth that bump against each other, food can build up between them. It’s time to teach your child how to brush her own teeth. Have your child use a small headed toothbrush. Move the brush back and forth gently in short strokes. Brush the top, front and back sides of each tooth. Ideally, we would all brush our teeth after every meal, but twice a day is the best you probably can talk your child into. 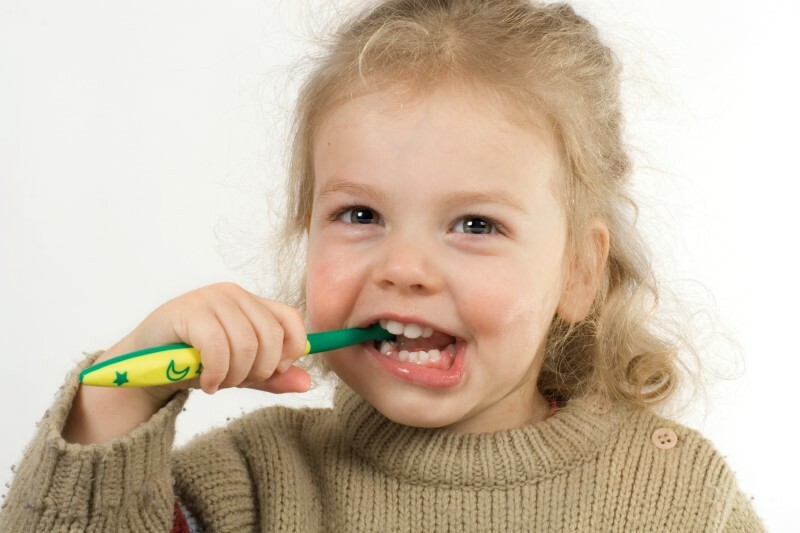 Have her brush after breakfast and after the last meal in the evening so that your child’s teeth are clean overnight. • Use a battery-powered toothbrush to make brushing easier. • Sing her favorite song or nursery rhyme while she brushes. Family meals are important for everyone. Families who eat together every day —or almost every day —eat more nutrients and less fat. Children who eat with their families tend to eat more vegetables and fruits, and less snack foods. Involve her in meal preparation. Include at least one food that your child enjoys —to make sure she will at least eat something. Tempt her to accept new foods — vary the color and texture of the foods at the table. Try finger foods that crunch and crackle. Let her see you and others enjoying foods that are new to her. Most children don’t like foods when they first taste them —they have to learn to like new foods. After a while, they will gather up the courage to taste a new food. Over many mealtimes, they learn to like it.